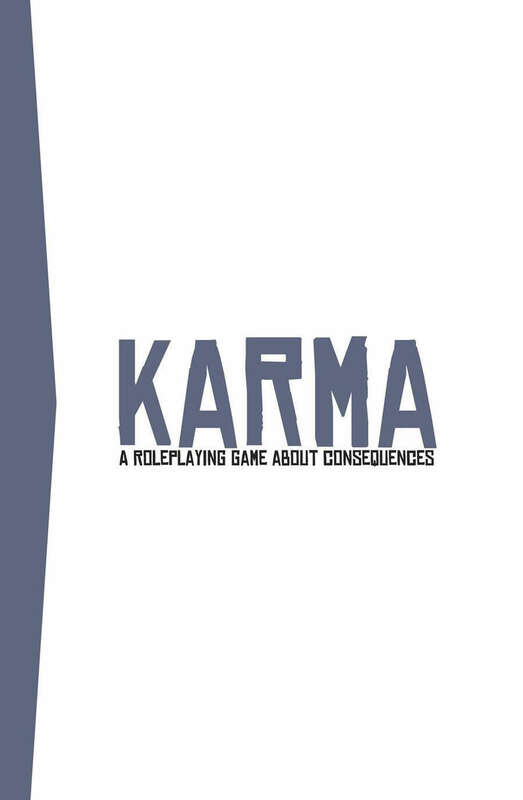 KARMA is a brand new story roleplaying game from Frenzy Kitty Games. The game is designed for 3-5 players and each session plays in about 2 hours. Additionally, there is no game master required – each player takes turns framing and directing scenes and having agency over the narrative. KARMA features a brand new GM-less engine known as the KARMA system. In this system other players will get to add a complication to your scenes (thus keeping everyone engaged in every scene, even when their character is not present) and each player tracks their KARMA throughout the game, which will have an impact on how their finale plays out. It is a game where good and bad people get what they deserve… usually. In KARMA, you and your friends will choose from a variety of story modules, each of which comes with its own set of unique characters, relationships and worldbuilding options. These modules are customized every time you play, so no two games will ever be the same. The game requires zero preparation – all you need is the book, some character sheets and a handful of six-sided dice and you’re ready to tell an amazing, engaging and dramatic story. KARMA was successfully crowdfunded in July 2017.